Register for your FREE 30-Day Test Drive of SolidCAM or InventorCAM with iMachining! 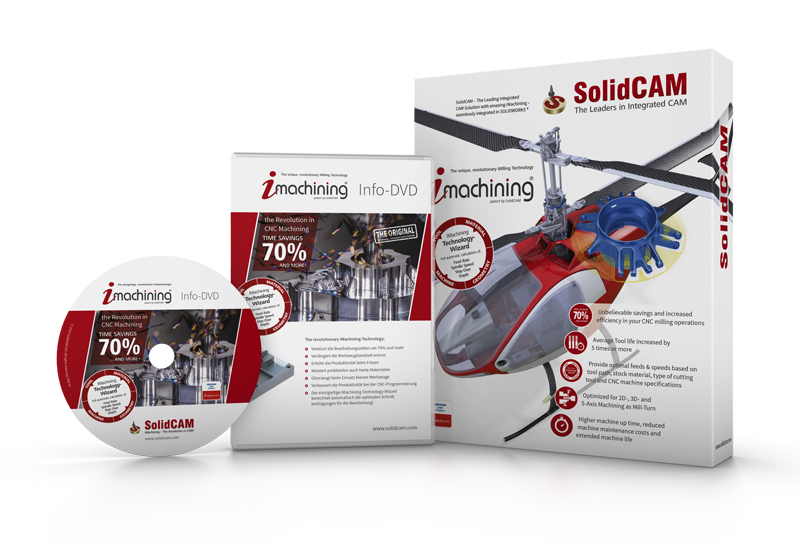 Download this trial version and experience the power of SolidCAM and the amazing iMachining, integrated in your SOLIDWORKS. The 30-Day Trial Version of the SolidCAM CAD/CAM suite, with the revolutionary iMachining, provides the complete functionality of CAD and CAM, including iMachining. Download this trial version and evaluate the power of SolidCAM and the amazing iMachining. The 30-Day Trial Version of InventorCAM, with the revolutionary iMachining, seamlessly integrated as Add-In to your Autodesk Inventor, provides the complete functionality of InventorCAM and iMachining. Download this trial version and experience the power of InventorCAM and the amazing iMachining, integrated in your Inventor.